The local Public Utilities Commission in Sault Ste. Marie is getting almost $12-million from Ottawa to help pay for a state-of-the-art smart grid system. Officials say the smart grid will improve reliability of the electricity distribution system, reduce the amount of homes affected by outages, as well as reducing energy costs and shrinking the city's carbon footprint. The PUC’s Ron Brewer says it’s money well spent. "$46 million sort of lifecycle cost on this one, and for the government to come up with a quarter of that has made it so that the project is bill neutral or actually a bill benefit for all of our customers. So they'll actually save more out of this project than the project will cost." said Brewer. The city will be the first community in North America to complete a project of this size, and Sault Ste. Marie MP Terry Sheehan says the new distribution system will open up a number of economic possibilities. "It’s a game changer. It's really going to allow us to diversify our economy and be able to go after clean tech businesses, after e-commerce, IT, data servers, a wide variety of businesses that are going to take a look at this community because we have a very reliable electrical system. That reduces their costs. So it's good for the pocket book and it's also good for jobs." said Sheehan. 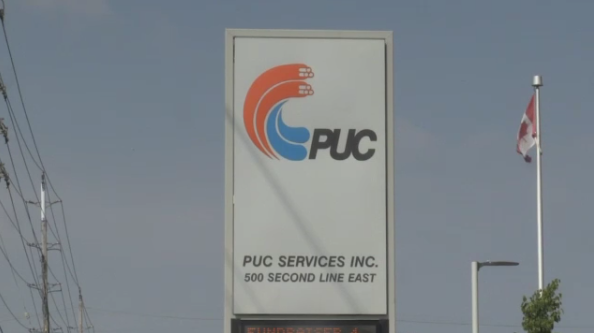 The PUC says the goal is to have the new smart grid system operational in 18 months.